Most resistance stems from poor balance and poor bend. Learn how to fix them. As riders, we want to have calm, well balanced, respectful and willing partnerships with our horses. Our horses want and need the same things. And yet, we often inadvertently create stress and imbalance in our horses which results in training issues such as rushed transitions, falling on the forehand, pulling against the reins, cross cantering, etc. Most of these training issues can be resolved by going back to basics and establishing relaxation and balance through correct bend. Balance is the foundation of good riding and is reciprocal between horse and rider. It is difficult for one partner to be balanced if the other is not. In both horse and rider, loss of balance causes stress, tension and resistance. While older, well schooled horses can compensate somewhat for the rider’s imbalance with minimal affect to performance, young, green and sensitive horses cannot. The same is true of balanced, supple, experienced riders on young, green and unbalanced horses. It requires a solid foundation from one partner to not only compensate for, but also help the other partner find and maintain balance so that the two become equal partners. What we want from the horse, we must first be able to give to the horse. To have soft, supple and balanced horses, we must be soft, supple and balanced riders. The spine – In the rider, this is the vertical alignment from the top of your head to your tail bone. It creates the straight line of “ear over shoulder over hip over heel”. In the horse, this is the horizontal alignment from the nose to the tail. 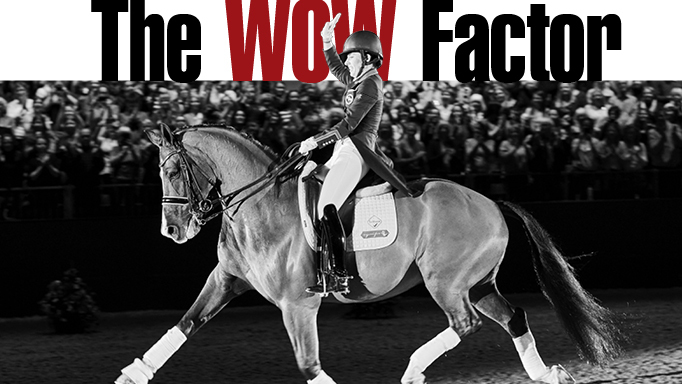 The rectangle – This is the same for both horse & rider as the shoulders and hips create a box. 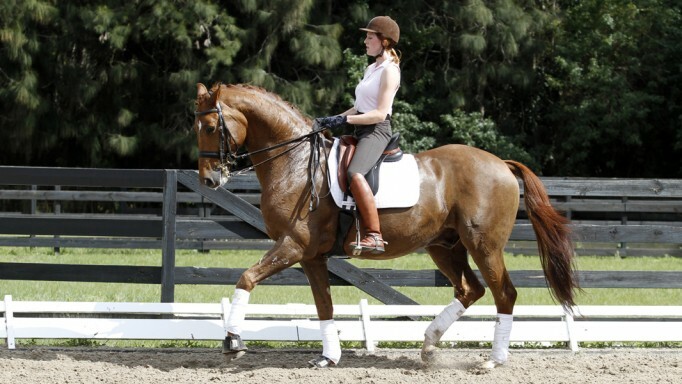 The rider’s shoulders should stay over the hips and the horse’s hips should track directly behind the shoulders. Horse and rider – The rider and horse should always have the same alignment. That means that your belly button aims between your horse’s ears; your shoulders align with your horses shoulders; and, your hips align with your horse’s hips. True bend comes from the horse moving his barrel away from the pressure of the inside leg and seat bone. With a true bend, the neck flexes naturally as the nose turns slightly into the turn. There is alignment through the spine from the nose to the tail without any crookedness or kinks. If the horse’s nose is pulled off centre (either side of the spine) then the horse’s body will be out of alignment. This shape will cause the opposite shoulder to push out of the bend making it difficult for him to create a balanced turn. This is where the balance of horse and rider falls apart leading to issues such as falling on the forehand, rushed transitions and missed canter leads. It is important to recognize that bend and balance are fundamental to a horse’s sense of security and safety. Horses use bend to protect themselves from perceived as well as real danger. That is why it is such a challenge to ride your horse quietly in true bend through the spooky end of the arena or by the big rock on the trail. If you insist that your horse go into that corner or close to that rock by using more of what you think of as the “inside” leg, he feels like he is being trapped and pushed into a potentially dangerous and possibly life threatening situation. The result is more stress, imbalance and resistance. If a horse is unable to flee from a predator, he will use the power of his body and even bend into the attacker in order to knock it off balance. If the horse were to pull away the predator’s teeth and claws would rip skin and muscle. In the herd, one horse bending into another horse is a signal to move out of the way. Lower ranked horses bend away from higher ranked horses as sign of respect. 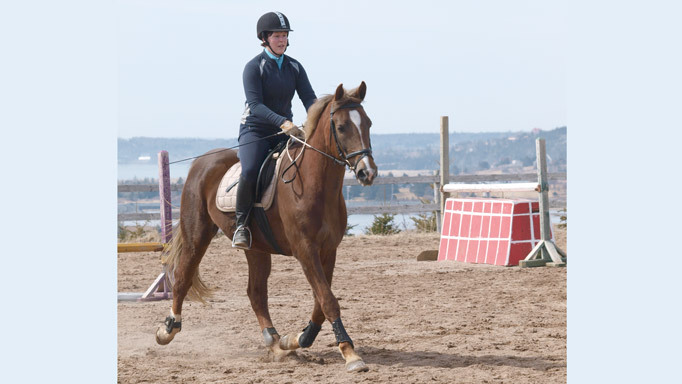 As a result of the innate purpose of bend, surrendering control of the bend can be extremely stressful to the horse unless he respects the rider as a trustworthy leader. 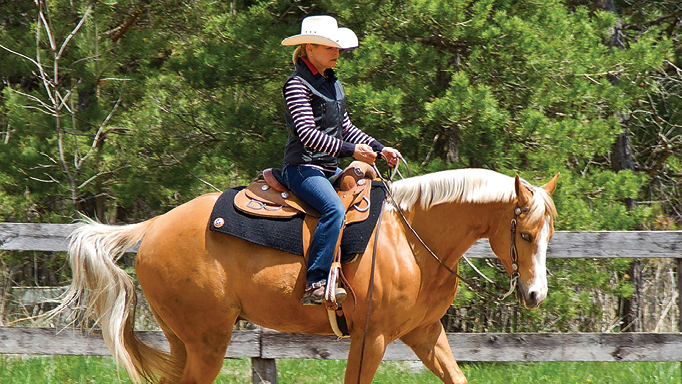 To develop true bend in the saddle, the rider works with whichever bend the horse takes. In the short term, you are not concerned so much about where you go but focus more on “how you go”. That means that keeping alignment with horse’s spine in order to maintain relaxation becomes the priority. Stay off the rail and work in the middle of the arena in the same way figure skaters and ballroom dancers use the entire floor surface. For example, you are traveling on the right rein, but the horse counter bends to the left. If you ask a horse to turn right when he is in left bend causes stress in his body. With the left bend, the horse can only comfortably leg yield to the right or turn left. At this stage, you are staying focused on keeping your horse comfortable and relaxed. So, rather than insisting the horse change his bend you use the counter bend to leg yield or change your mind about going right and make a turn to the left. This exercise requires you to tune into the horse and follow his bend. You temporarily give up asking for control of the bend in order to gain the horse’s trust by keeping him in a relaxed and calm frame. Some trainers and riders might think that this technique is “giving in to the horse” or “letting him win”. In reality, the horse does not know what we have planned to do. They don’t know when we are going to ask them to turn right or left, do a leg yield, canter, go to a jump or circle away from the jump. All they know is whether or not what we are doing is making them feel relaxed or stressed. By working with the horse’s bend instead of against it, you are enhancing the physiological benefits of smooth, balanced motion. As the horse feels physically more balanced, his levels of fear and stress are decreased. As you aid rather than dominate the horse, you earn the horse’s trust and respect and the emotional authority to be his leader. If riding in harmony with your horse as a willing partner is your goal, then relaxation and balance must be the foundation of your training. Trust, respect and the authority of leadership must be earned rather than expected and taken through force. There are no short cuts. First, give your horse what he needs and then you will get what you want. 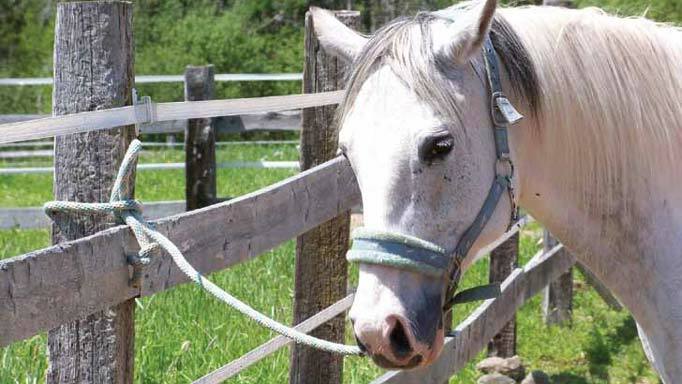 Teach your horse to stand calmly whenever and wherever he is tied. Lindsay Grice explains how to achieve smooth and effortless flying changes.